Cement prices have started recovering after a year, thanks to price hike in southern and western regions. Dealers and companies have said prices have gradually picked up from February in few markets, but across the country effectively it came into effect from March. Prices recovered by Rs 15-20 a bag to Rs 310-315 compared to what was prevailing till January this year. Till the end of last year, cement companies were resorting to giving discounts to push sales. However, that approach is changing now. Average increase was around six per cent across the country, in south and west increase was around 15 per cent. In other markets, rise is marginal. In Southern and Western markets, price saw an increase of Rs 40-45 a bag and 8 per cent (Rs 12-15/bag), respectively. North, East and Central regions saw 2-3 per cent improvement (Rs 5-8/bag). 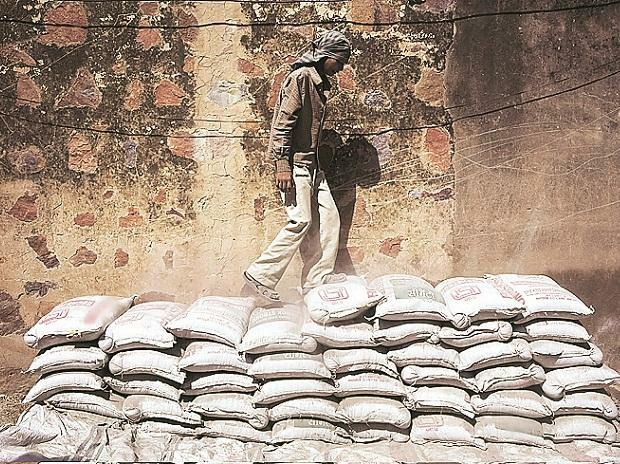 “Discussion with cement dealers suggest demand may not be as strong as witnessed in the recent months, as upcoming General Elections uncertainties may hurt consumption”, said a report by Reliance Securities. Price increase was due to infrastructure growth and bounce back in discipline as companies realised discount game cannot sustain, said the CEO of a midsize cement company. Sanjay Ladiwala, Chairman, Cement Stockists & Dealers Association of Bombay said, all India prices were down due to the overcapacity in South, holding back the prices in other markets since South firms were supplying to these markets at a lower price. However, with the infrastructure projects picking up demand has picked up in South, while its supply to other parts also comes down. N Srinivasan, vice chairman and managing director, India Cements said that the utilisation in South rose to 70 per cent from 67, in February thanks to Centre's thrust on infrastructure and housing with higher outlays apart from tax breaks for the realty sector. RBI has also cut the repo rate in a bid to boost consumption. This is expected to further improve the construction activity and increase the demand for cement in the coming years, he said. A V Dharmakrishnan, chief executive officer, Ramco Cements Ltd added prices were down by Rs 25 in January 2019 compared to January 2018 and increased from February, both year on year and month on month. Besides demand mainly due to infrastructure projects, for example, Amaravati project in AP, irrigation project at Telangana, metro projects in main cities and Government's low-cost housing schemes in East and other good news was discounts being given have reduced or gone. He cautioned about the increase of other costs, mainly fuel, which may put pressure on profitability. Analysts and industry stakeholders are of different views on sustainability of the demand and price. Traders say, the current demand is backed by government-funded projects which usually come up the months before the election and the pace may slow down after the election, pushing the growth back to the previous levels. IIFL report says, while there would be a marginal upgrade for the FY 19 estimates as the price hike in the southern region is higher, it continues to be negative on the sector as it may come under pressure again when demand growth decelerates after pre-election spending. Srinivasan, however, said, with no major capacity addition expected and if the demand continues to keep the momentum, the industry is expected to see a good time ahead. The prices may firm up a little in April and the fuel prices are also expected to soften, giving an advantage to the industry. Reliance said that with strong improvement in demand scenario leading to demand growth of around 7 percent in FY18 and sustained demand growth in the first nine months of FY19, it is expecting all tailwinds are in place to boost cement demand.